﻿ How to Evolve Word of Mouth into a Million Dollar Marketing Channel » Red Mango Marketing! There’s a new approach to “word of mouth” marketing, and it may have nothing to do with actually speaking. Word of mouth, or, what happens when people who know you well put their reputation on the line to tell others about your business, carries heavy weight in the small business world. This is especially true when you offer a product or service that requires education in order to prove value among prospects, like the DreamSpa® System from Light Health Research. Light Health Research used word of mouth marketing to grow their business, but instead of spreading the word verbally, their customers “spread the word” through email. In fact, they can attribute $1.5 million in sales to email referrals. How can email equal sales? Light Health Research is able to easily create professional looking emails, drag and drop products into those emails, and target specific customer segments by integrating Shopify, their eCommerce platform, with their Constant Contact account. With this strategy, they are able to nurture their prospects and encourage referrals. Selling goods and services with a Shopify store? Sync Shopify with your Constant Contact account today to start selling through email. As leaders in light therapy, Light Health Research is no stranger to educating their audience. We spoke with Yvonne Hedeker, founder of Light Health Research, about their goal of providing light therapy to their audience. 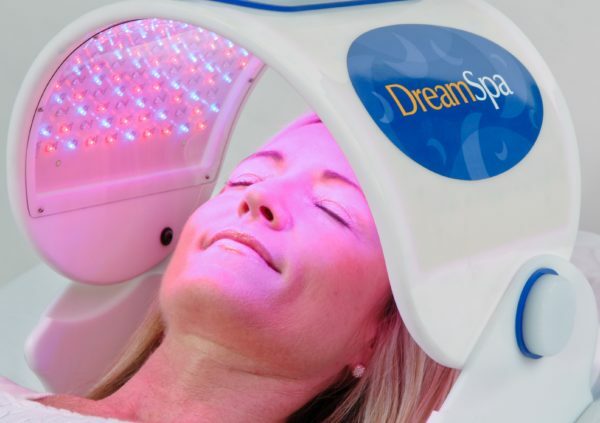 The DreamSpa System is a natural, safe, and drug-free solution that helps with the effects of stress, overwork, lack of sleep, jet lag, and many other modern day ailments. This system uses advanced light therapy to regenerate the body on a cellular level. Hedeker writes and sends an email newsletter once a month, consistently. She also sends the occasional promotional email. This method has paid off for Light Health Research, as they attribute $1.5 million in sales, both directly and indirectly, to their email newsletter and other ongoing email campaigns sent to their audience. Even though this is technically a form of email marketing, Hedeker considers it word of mouth. “Since most of our sales are through referrals, many of our customers heard from another customer or family member about us,” Hedeker said. “A lot of times people will see an email and then call for more information. Or if they do buy directly from the email, it’s because someone forwarded it to them, and we count that as a referral”. Light Health Research makes it easy for prospects to buy directly from email by integrating Shopify, their eCommerce platform into their Constant Contact account. Thanks to this integration, you can save time, create more professional looking emails, and track results. Not only does Shopify make it easy for customers to buy from Light Health Research, but it also makes it easy for Hedeker to market to those customers. Ultimately, word of mouth simply means your customers are sharing the value of your products. With the help of Constant Contact and Shopify, Light Health Research educates their customers and prospects to remain top-of-mind regarding the latest in light therapy. Their results prove that word of mouth can spread via email, especially when you are educating and providing value to your audience. 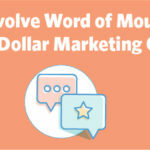 The post How to Evolve Word of Mouth into a Million Dollar Marketing Channel appeared first on Constant Contact Blogs. This entry was posted on Tuesday, December 18th, 2018 at 8:00 am	and is filed under Customer Success Stories, News & Updates, retail. You can follow any responses to this entry through the RSS 2.0 feed. Both comments and pings are currently closed.